OT eSporter - stylish template sports theme developers OmegaTheme. Template is powered by Solid Framework, has 28 module positions, optimized code in files and is fully compatible with all browsers. 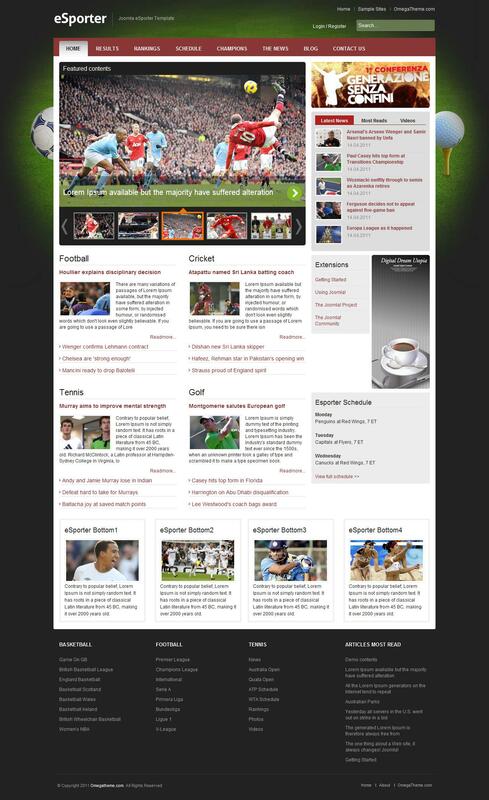 Perfectly suited for creation of sites with an overview of the various events in the sports world. In the template manager adds support for content management K2, which significantly increases the possibilities and potential template.